AW16 Fashion Trends: The New Trend Guide | HELLO! Now that Autumn-Winter is fully upon us, new season shopping is a must. 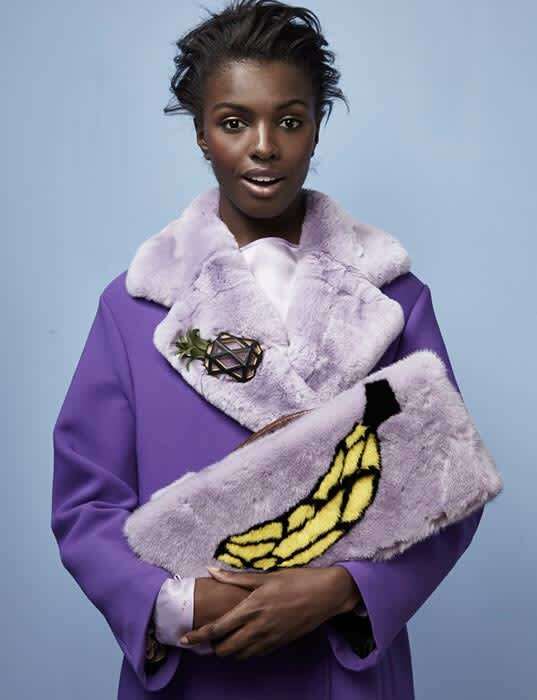 As part of the October HFM Fashion Special issue our very own junior fashion stylist, Laura Weatherburn, took us through AW16’s must have trends, featuring gorgeous British model Leomie Anderson. Watch the video or read our Trend Take Out below! Potentially the biggest trend this season and fully endorsed by both the catwalks and many of your favourite high street shops too. Think shimmery metallics and brocade fabrics like Fendi and go for lots of velvet and lush fabrics for that Ralph Lauren vibe. Style tip: the key to mastering this trend is to accessorise more, using a lot of jewellery and layering! Layering necklaces and layering rings, the perfect opportunity to practice the newest stacking ring trend. Pyjama dressing is huge for the new season. 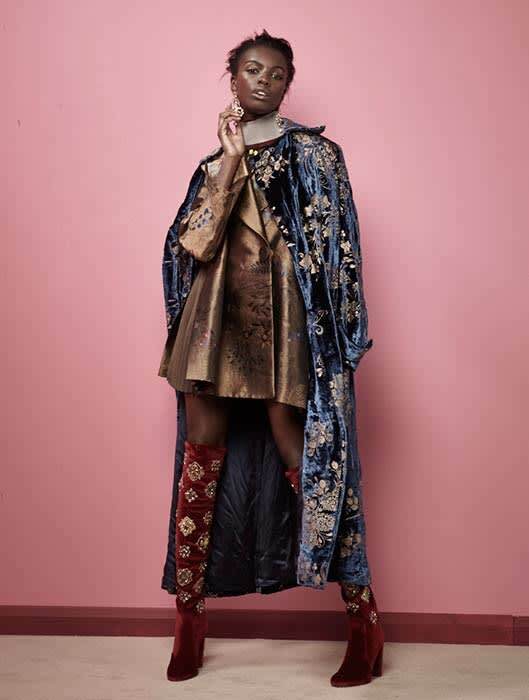 The Zimmerman robe and Three Graces slip dress, as modelled by Leomie, is the ultimate nightwear as daywear glamour. If you don’t want to commit to the full ‘just getting out of bed’ look, we recommend taking just one pyjama-piece and mixing up the fabrics with light-washed denim and some court shoes. Warm and comfy, the après-ski trend is a great step up for the athleisure trend for Autumn Winter. While at first it may seem tricky to style, there are workarounds. Style Tip: To make the après-ski trend more accessible, accessorise with really nice, every day belts, roll necks and accessories to bring it back to what you’re comfortable with. Always a great trend for the colder weather. It can often be quite expensive but always worth the investment because it really does last a lifetime! Go for classic with shearling details, or, go all out with a statement piece like the incredible green Emilio De La Morena one Leomie models! As a natural development from the sugary pinks we’ve been seeing, anything mauve, lavender or lilac is huge for AW16 and fits very nicely into all the other big trends this season. On the high fashion side, Natasha Zinko, Miu Miu and Roberto Cavalli all featured it on their catwalks while Topshop and Zara are the best high street go to’s. For more of the latest fashion trends and expert styling tips pick up our latest issue of HFM in stores, find your local stockist here.